This morning the Aurora headed to the NW corner of Stellwagen. 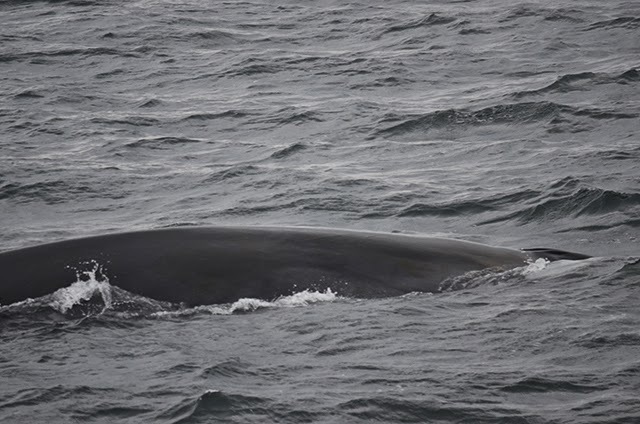 Despite some patchy fog we were able to spot a minke whale, a harbor seal, Northern gannets and a fin whale. 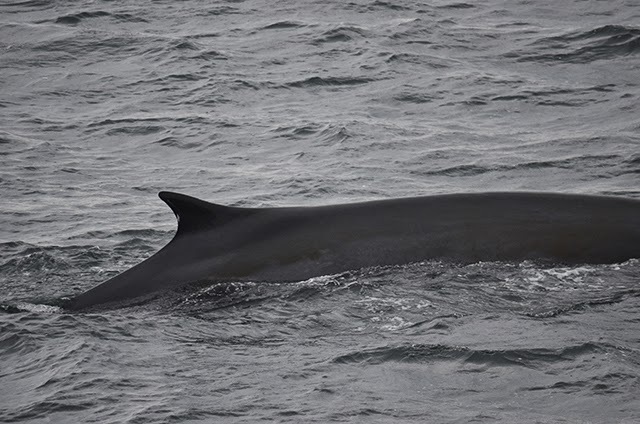 The fin whale gave us great looks of both its sides, and we were able to observe some of its identifying features including its chevron pattern and dorsal fin with a small nick. Though the rain picked up, overall we had calm seas and great sightings of three different species of marine mammal!